Curry is one of my favourite foods, but standard dishes found in takeaways and supermarkets often contain horrendous amounts of saturated fat and unnatural additives. I'm a strong advocate for making your own healthy, homemade food, which means you can enjoy all your favourite dishes without damaging your health or waistline. 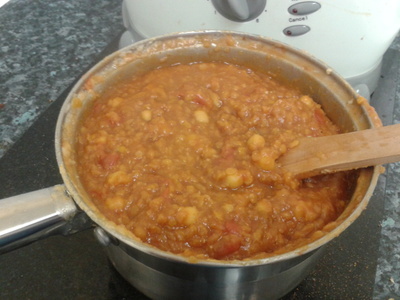 To cook the lentils, boil them in 500ml of water (the ratio for cooking lentils should be 1:2 for lentils:water), then simmer until they break down into a mushy substance. Different hobs will vary in time. When the lentils are softened in this way, add the chopped tomatoes and chickpeas, and simmer for fifteen minutes. Add the crumbled stock cube and gravy granules, stir well, then simmer for a further five minutes. 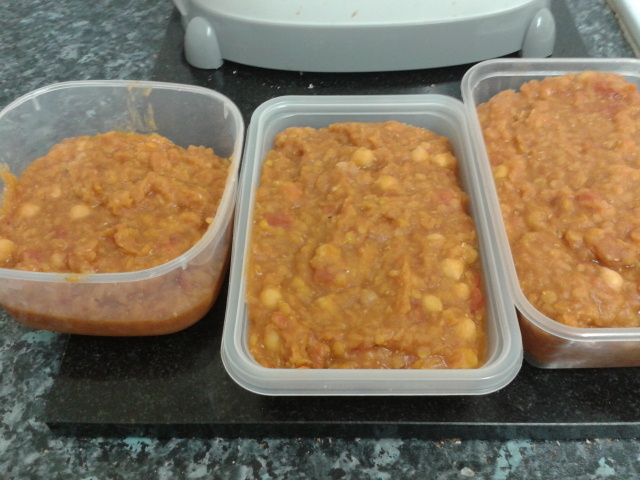 Stir in the paprika and curry powder, before removing from the heat and serving. Serve with basmati rice and naan or pitta bread. This dish is perfect for vegetarians, and can be frozen to enjoy another day. N.B. For variation, add some cooked vegetables to the dish. Heat some oil in a pan, then soften some chopped onion and courgette, before adding the contents of the pan to the curry. You can also try adding some different spices, such as coriander and saffron, to suit any personal preferences. Why? Making sensible food choices will benefit both you and your family's health.